got a decade or two ? .. The oceans are in deep doo doo. And it's our fault. .. Lacustrine and fluvial measures to save such species as Steelhead and Salmon, may be all for naught as the oceans warm. .. And, warm they are becoming. An AGU publication details research findings that show a critical threshold for oxygen absorption in the oceans is approaching in the near term. .. This is not hundreds of years in the future but is with us now and may be critical within 10 to 15 years. .. Some vast areas of our oceans may soon become uninhabitable for the marine species that depend on them. .. Areas along the west coast of North America and some areas surrounding Hawaii will probably be significantly affected by 2030 or 2040. Some of us will live to see those days. .. The study is based on landmark simulations run on supercomputers that have for the first time factored in the natural variability in the cycles of oxygen absorption and deoxygenation. .. Just thought you'd like to know. 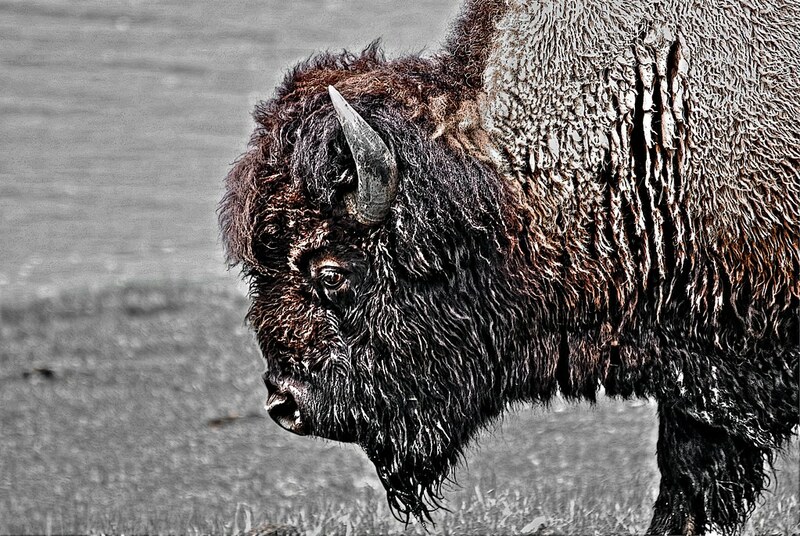 WALLPAPER: THE NATIONAL MAMMAL ?? .. 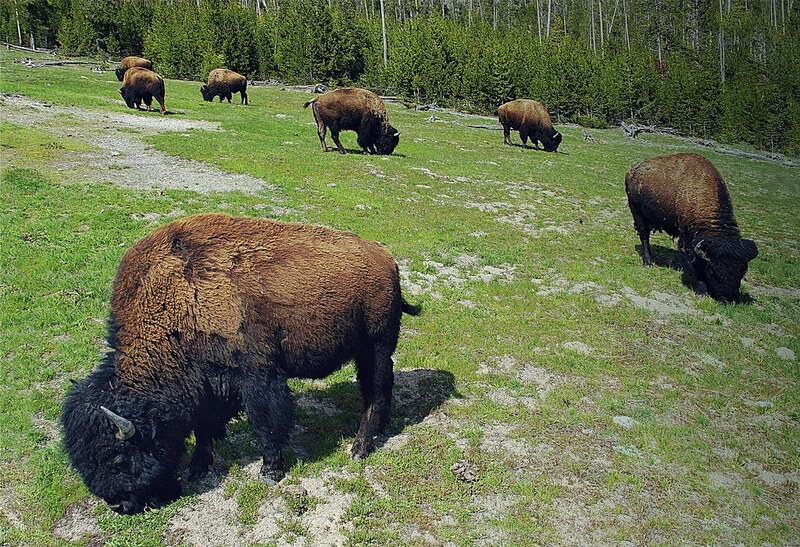 The United States House Of Representatives has passed the NATIONAL BISON LEGACY ACT. .. The United States Senate passed a similar bill in December but it was a bit different. Now our elected representatives will spend some time and money and photo opportunities in the reconciliation of the two bills before they become law. 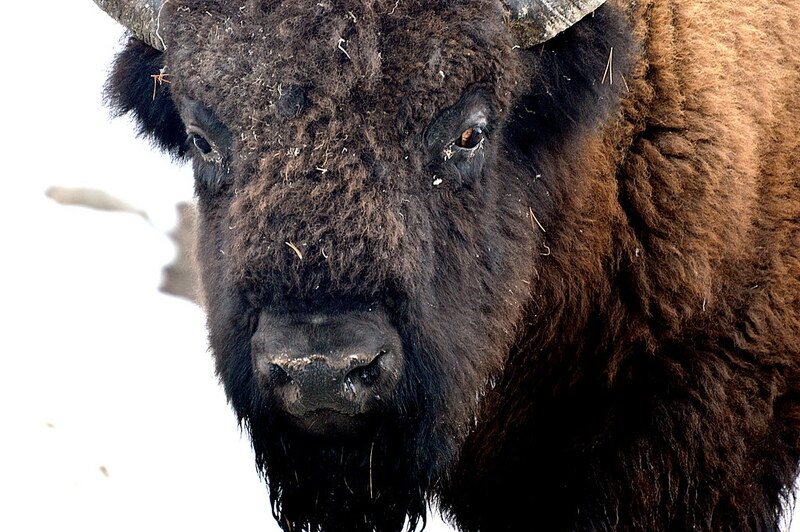 .. We enjoy the bison in the neighborhood. Visiting fisher folk love to tell stories about dodging the hefty critters as they sneak from their car to the water. .. 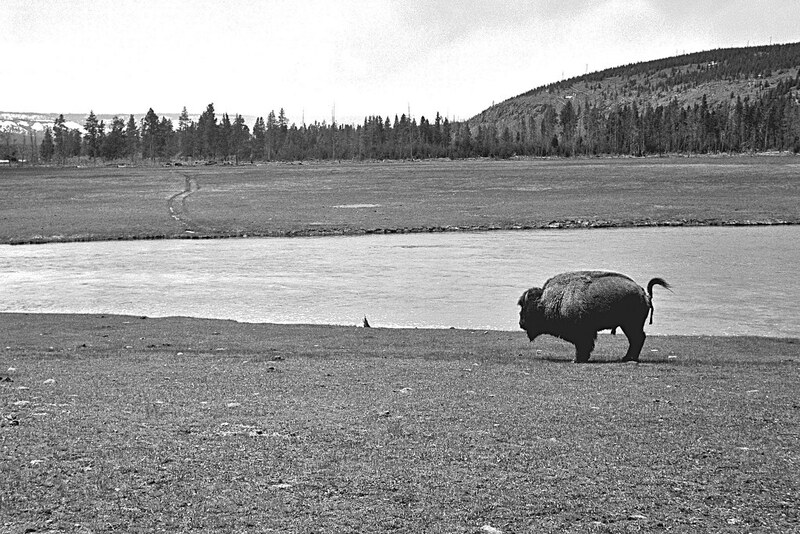 The bison is deserving of special mention in our cultural and historical heritage. 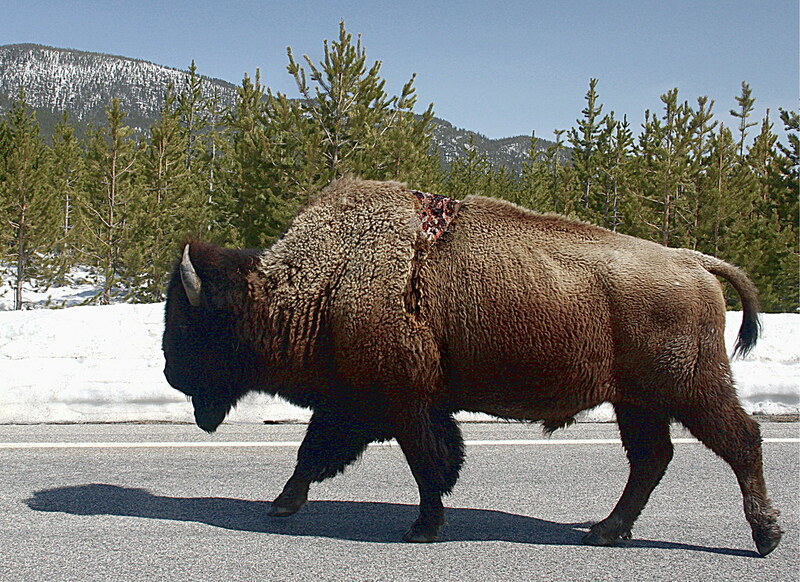 Bravo for the bison. .. We, (yes every voter among us,) elected the members of congress. We, collectively and individually, are getting what we deserve in the infantile and ignorant behavior of our representatives. They are us. 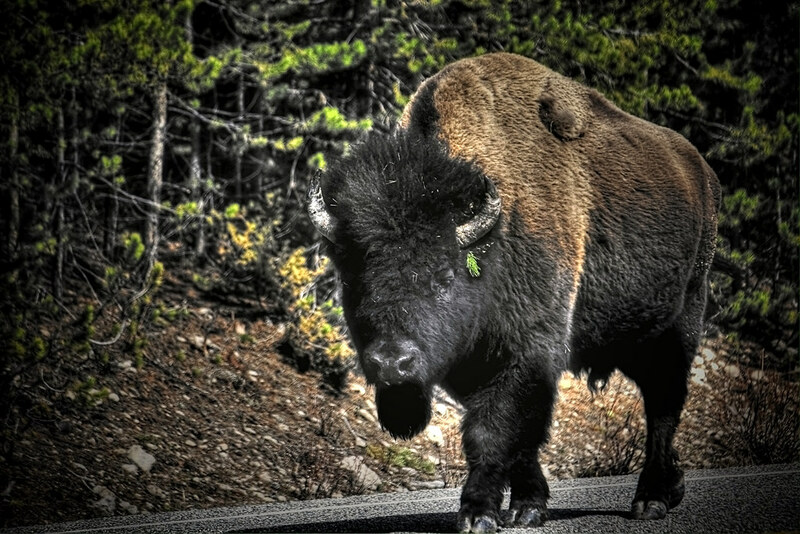 .. At this moment in time they, (we,) feel that the bison is far more important than a United States Supreme Court Nomination - to a divided court. Bless their, (our,) sweet bippies. .. "NOW" is an interesting moment in the fractious sociopolitical landscape where the American populous is so concerned with our national hubris that they have lost sight of national and world happenings. Bless our sweet bippies. .. We also salute our esteemed members of congress for their diligence in putting important national matters of state in their place. .. We've got our priorities in order. It's time to take a nap and ignore politics and bison. We're as fat, dumb, and happy as the rest of the electorate. After the nap we're going fishing. 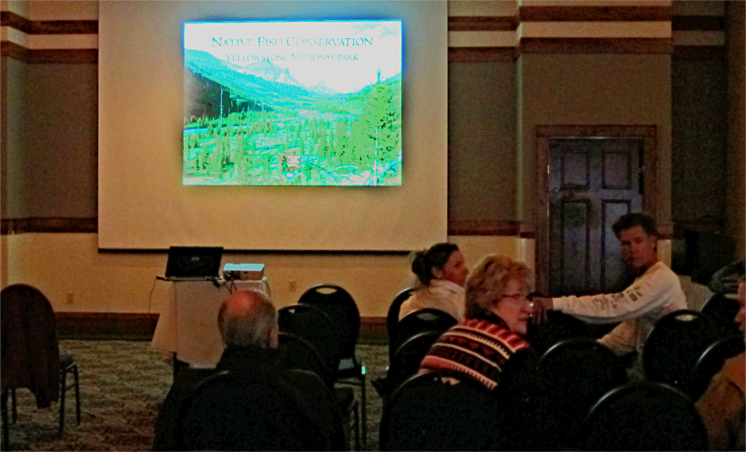 .. National Park Service speakers regaled and lectured a not quite standing room only crowd in West Yellowstone. .. Exposition of the Native Fish Conservation Program was the topic for a series of slide presentations featuring efforts on Yellowstone Lake, The Northeast Fishery, and the West Side Fishery. .. The presentations were replete with optimism about the progress of the program and the success of the efforts currently underway. Anticipated and planned programs for the future were briefly detailed. .. The commercial fishing contracts to curtail the population explosion of Lake Trout in Yellowstone Lake are anticipated to continue to the tune of $1,000,000.00/yr. 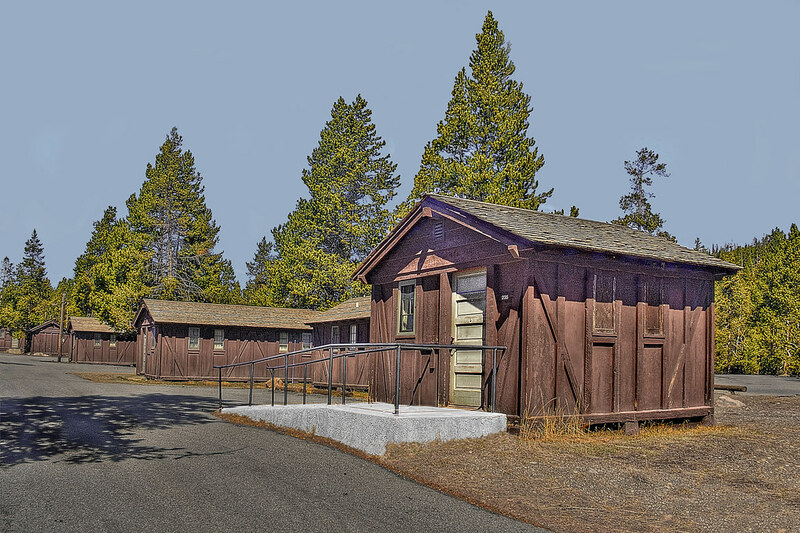 Funding support is anticipated to continue with the newly amalgamated Yellowstone Park Foundation-Yellowstone Association (LINK A). .. Increases in catch and kill numbers through the years have shown success that is correlated with length of nets employed. .. More nets=more dead Lake Trout. Exploration of chemical killing of eggs and fry continue to be a research focus for the known spawning areas. .. Large numbers of Lake Trout hiding from the gill nets have been found in the South Arm of Yellowstone Lake. Previously found concentrations have continued to be the cynosure of netting including those populations in West Thumb. .. There have been no appreciable changes in the fishing regulations this year and the lake will open for catching early again. 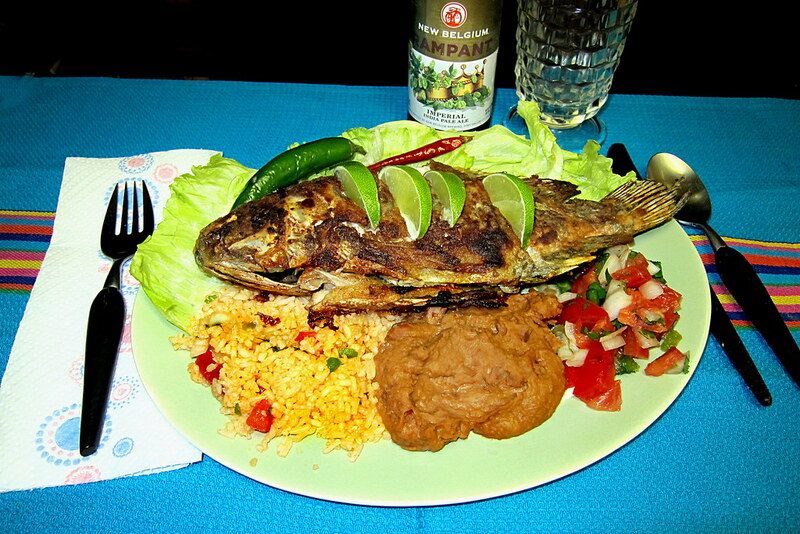 .. Rearrangement of fish populations, poison, barrier construction, regulation modifications, and scientific review continue too be the focus of the program. .. 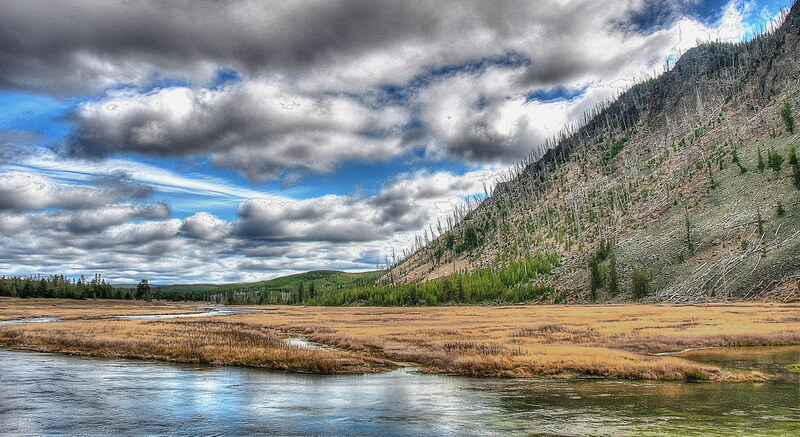 Anticipated fishing and catching success for managed areas such as Soda Butte Creek and Specimen Creek and Grayling Creek should reach peak productivity by 2019 - 2020. .. New concerns about climate change have been introduced to the program and the thrust is relocation of, (or establishment of,) populations of fish in areas most likely to provide survival of cold water species in periods of climatic warming. .. Focus on the upper GIBBON RIVER will include the poisoning of GREBE LAKE to remove all fish. The current non native population of Grayling will be salvaged, relocated, and then reintroduced to GREBE LAKE after it has been cleansed of the Rainbow Trout**. .. Information about recovery of invertebrates after poisoning shows that without fish to eat them they show a population explosion. .. The subterranean stretches of Cougar Creek are being investigated as barriers to fish migration which places this little stream on the potential hit list for future management. .. 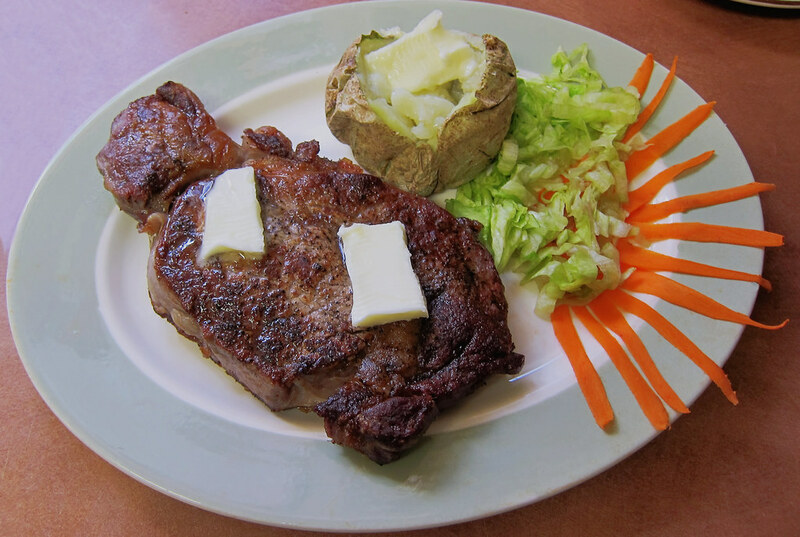 It's way past lunch time and we are having breakfast for lunch. .. The pubs enjoyed some fish talk last night. Better than the coffee provided at the informative gathering. **In 1921, U.S. Fish Commission personnel stocked the fishless Grebe Lake with the Montana strain of Thymallus arcticus montanus, a lacustrine form of Arctic Grayling. .. 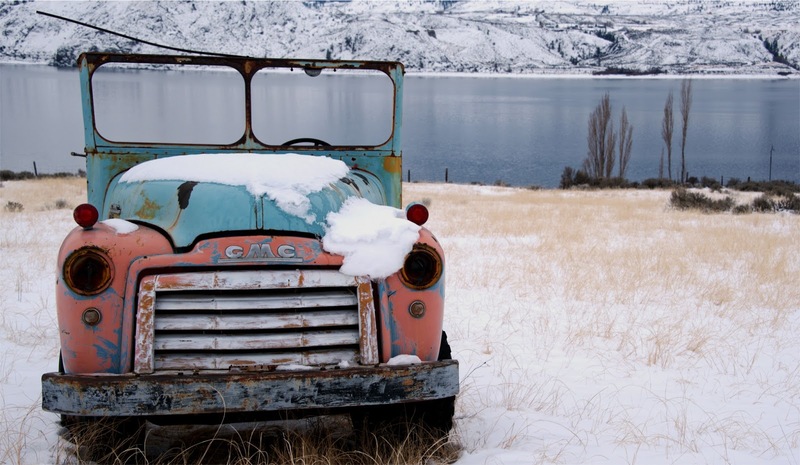 The initial introduction came from Georgetown Lake near Anaconda, Montana. .. It is believed that the fluvial form of Arctic Grayling was native to the MADISON RIVER and the GIBBON RIVER below Gibbon Falls. .. In an effort to re-establish Grayling in western states, over 72 million Grayling eggs were harvested from GREBE LAKE between 1931 and 1956 and distributed to hatcheries. .. Many lake dwelling Grayling populations in the west can be genetically traced to these stocks. .. GREBE LAKE was closed to fishing until 1944 because of the fish culture operations at the lake. .. Nearby WOLF LAKE and CASCADE LAKE also contain some Grayling as well. .. 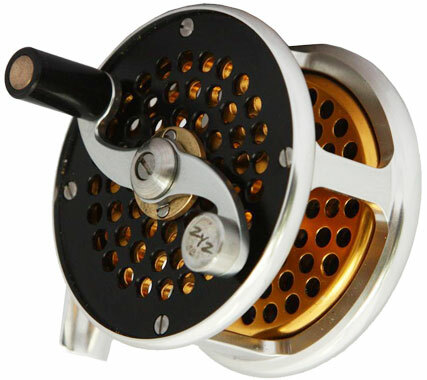 Among the finest fly reels in the world, (precision, design, manufacturing, cost, value,) is the Vosseler. It's probably not for sale at your local feather merchant. .. What does this have to do with an iPhone? .. Well there is a giant European market that Apple has not been too successful with. It's the ethos infected, Eurocentric, common folk of that continent. .. There is, at this moment, in a highly secret bunker in Berlin, a brain trust of about a couple dozen people, (give or take,) who have little time for fly fishing. .. These folks are experts in technology, marketing, industrial manufacturing, and contemporary zeitgeist. .. They are busy dreaming up a few new ways to out compete Samsung with some futuristic integrated iPhone technology. .. 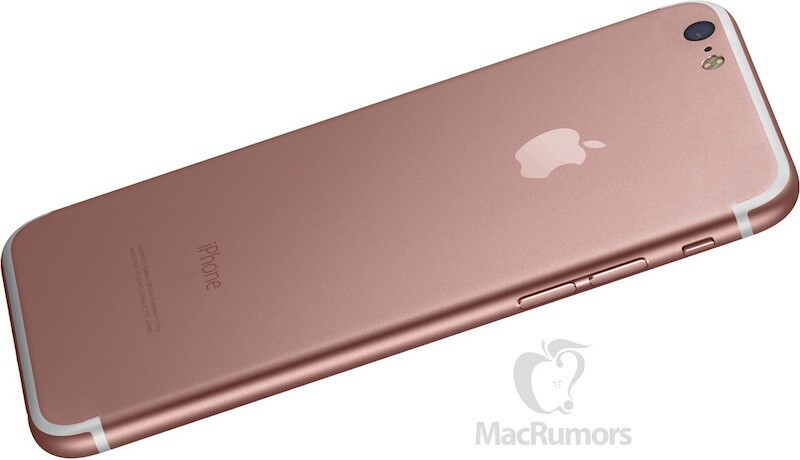 In the not too distant future you will need, (desperately need,) a new iPhone. .. Why, you say? Because you will not be able to drive your new Titan without it. .. The Apple car will be here in less than two years and will be built in Germany. It will have all the ethos of a Germanic import for sale to American consumers, (while allowing some tax benefits for Apple.) Better than stinky VW's or BMW's. .. Of course it will be pricey. Of course it will be exclusive. Of course it will appeal to fly fishers who already have $10,000.00 worth of gear on their body when they enter the water. .. So, you don't believe it? So you only have $1,500.00 worth of gear when you fish close to home? Well you will be left out of the growing camaraderie of select fly fishers that travel to exotic places and cluster together to discuss the esoteric pastime of fly flinging. .. This video provides the facts that will allow you to chase down the iCar and, give you a wader up on the neighbors. ..We're waiting for the "iRod" and the "iReel." We suspect that they will be manufactured in China out of synthetic, (3-D printed,) bamboo. .. They will have "smart" features such as: intelligent drag application, compensatory taper adjustment, automatic hero-photo composition, immediate social media posting, in-built commentary such as "good fish" and "mend - mend - mend now!," selective GPS locators for precision casting, and other features to discuss with cohorts during a catered shore lunch -- -- which will be ordered from the integrated iPhone. .. There are a few videos,released during the last month or so below. If you can resist the urge to fish today check out where Apple and the other electric cars are going to and coming from. .. This is the 100th anniversary of the National Park Service. We're headed to the park to join the line at the west entrance station. .. Just who is Jia Yueting? Where is he? What does he do? What is a Chinese multi billionaire doing wearing western clothing? .. Who are the top five entrepreneurs in the world? How many live in your neighborhood. How many live in your state? How many live in your country? .. You can bet you sweet ash rod that Elon Musk knows the answer. And, you know that Mark Zuckerberg is in tune with the coming attractions. .. Why, even Amancio Ortega, Carlos Slim HelÃº, and Bill Gates are keeping up with the haps in China. .. Those of us that still drive a BMW, or an Aston Martin. or a Jaguar, don't really care about developments in the automotive world. 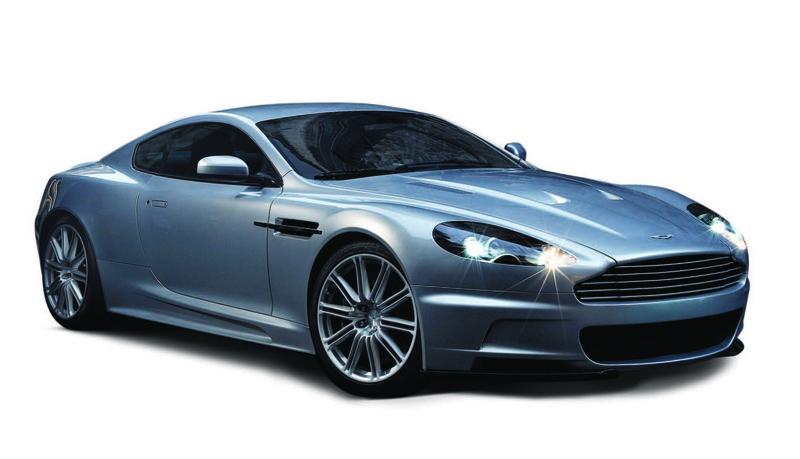 The ownership of Aston do! .. We know that Fiat/Chrysler, Volkswagen, and Rolls Royce have us covered. Yah - right! .. But Aston Martin, (Lagonda, Ford, etc,) are already lashed up with LeEco for development purposes in new car and chassis production. 贾跃亭 does it like no one else does. .. What is the relationship between LeSee and LeEco? 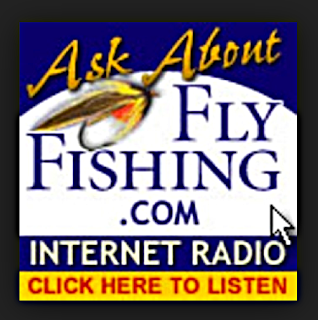 Do they fly fish? Do we Care? The Wall Street Insider does, (LINK 1.) The Business Wire is on to it, (LINK 2.) They think that billionaires in blue jeans who are building cell phones and electric cars and fishing reels are just O.K. 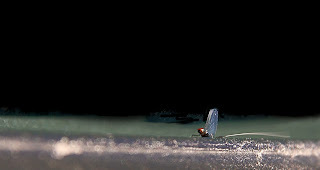 .. We're headed to the river with our nylon impregnated fiberglass mesh fly rod and our aluminotitanium fly reel, and we're armed with poly impregnated Dacron fly line and a tapered nylosymter leader. .. All of it sold by American firms that don't tell us where it's made. They did tell us how good it feels to fish with their brand of gear! .. Even if it is made in China. We've snapped this view for the last 14 - 16 years during opening week. We've seen 6' of snow on the ground. We've seen 6" on the ground. We've never seen no snow and green grass. Some change. .. Thanks to Dr. Jim we know that there's some meetings to be aware of. Meetings are scheduled for Bozeman, Montana, Cody, Wyoming, West Yellowstone, Montana and Jackson, Wyoming. 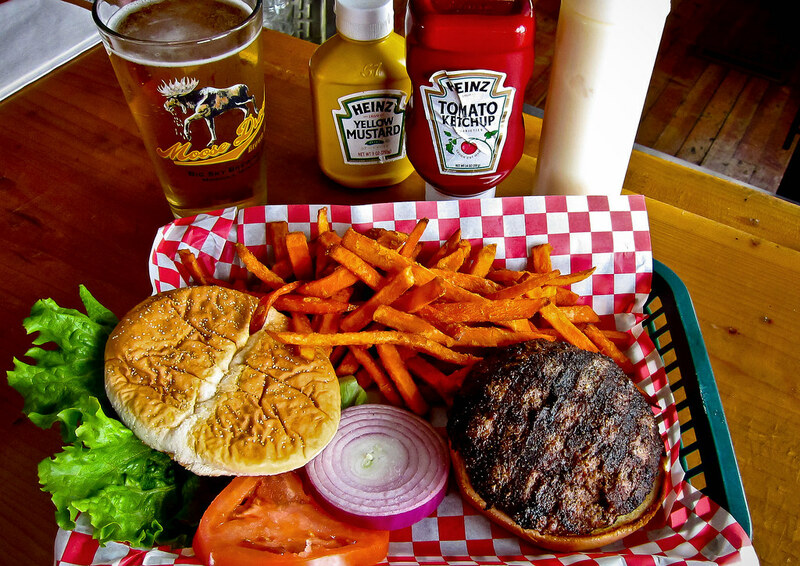 • Monday in Bozeman at Hilton Garden Inn, 2023 Commerce Way. 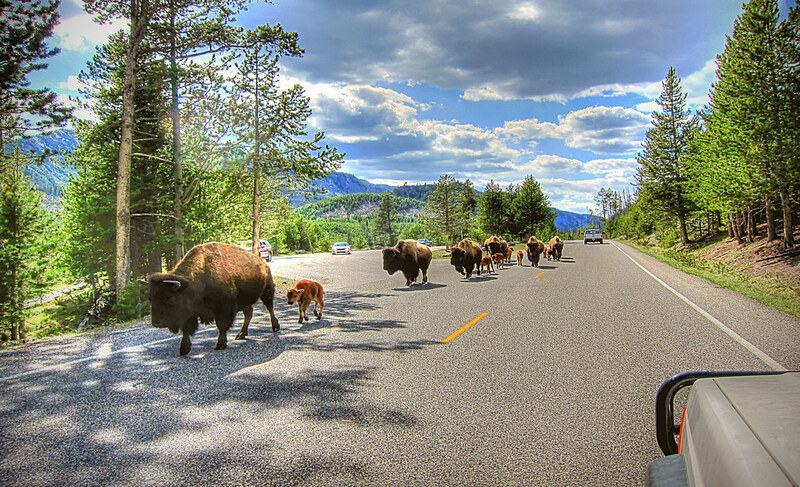 • Tuesday in West Yellowstone at Holiday Inn, 315 Yellowstone Ave.
• May 3 in Cody, Wyo., at Best Western Premier Ivy Inn, 1800 8th St.
.. Read the official announcement from Yellowstone National Park - RIGHT HERE. 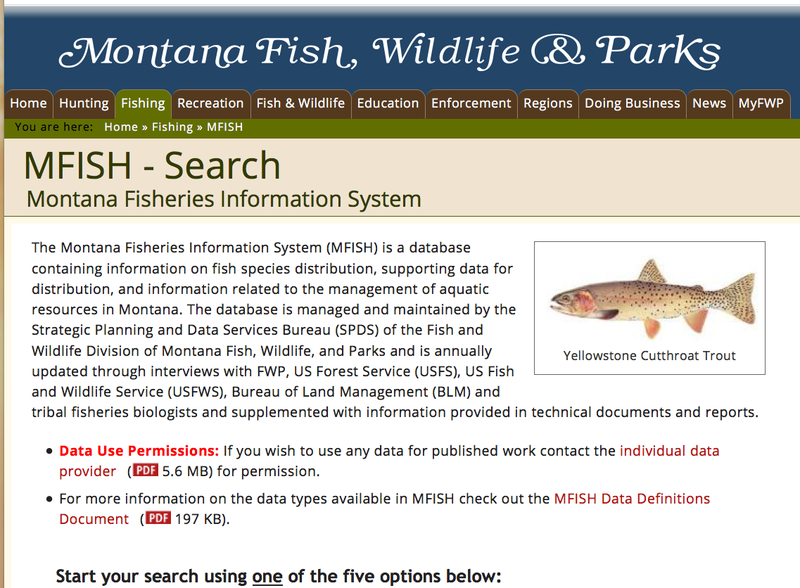 .. Dr. J also pointed us to the expanded Montana Fisheries Information System. 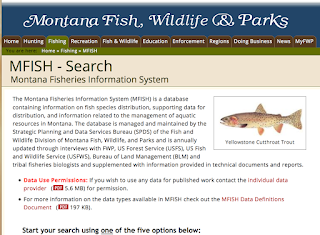 It's a database containing information on fish species distribution, supporting data for distribution, and information related to the management of aquatic resources in Montana. .. Pick your water and pick your fish - it's probably there. Good information about our resource - AND the catching possibilities. You can find it HERE. .. Well it's another year and the National Park Service has missed another opportunity to rearrange the rivers and the roads along their banks. .. It's National Park Week. Visitors can enjoy the park with no admission fees. .. We congratulate the NPS for their fiscal responsibility and foresight. 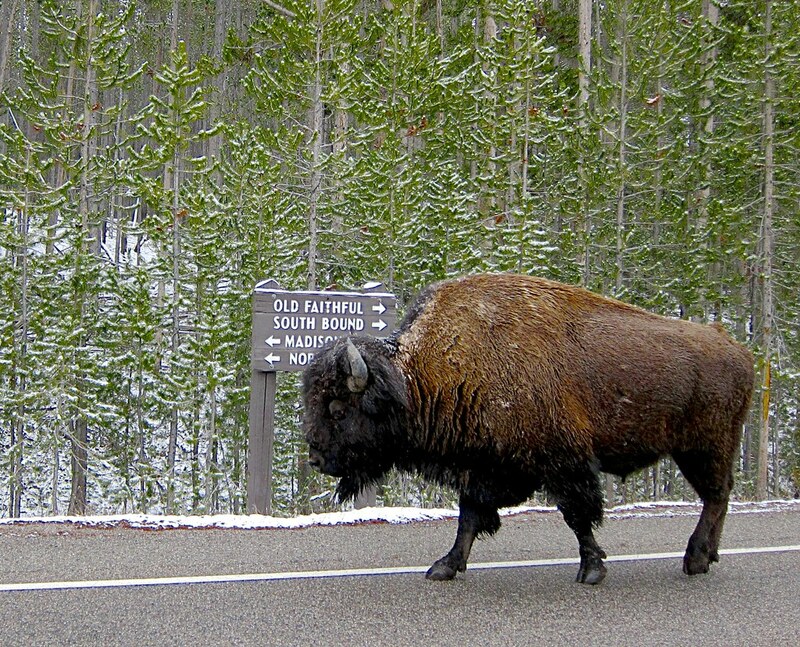 .. Having just a single seasonal employee in the morning at the west entrance station generates a single line of cars all the way back to West Yellowstone: keeping up the real Yellowstone Experience. .. The rivers are running clear, cold, (mostly,) and surprisingly slow. We've had some color in the Madison River over the last few weeks but the in-water visibility has remained above six feet. .. After some funding rigamarole the USGS has found the money to continue monitoring and reporting data on the Firehole River. .. The early snow melt and warm up this year has the Firehole River spiking to temperatures above 70° F already. Could signal an early closure date. .. 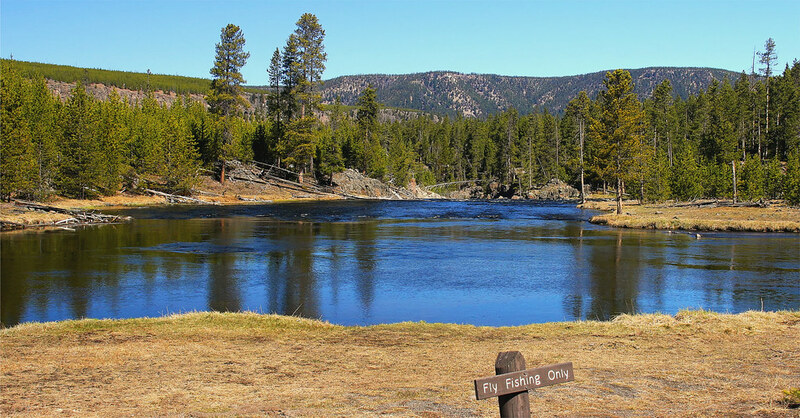 The polyglot fly fishers will be able to explain the appearance of the giant mayflies along the length of the Firehole River. .. They were in thick swarms, early in the morning, and lovingly splattered themselves into our windshield so we wouldn't miss them. We've heard rumors of accelerated hatches in situations like this. No caddis yet - apparently. .. Look for the bridge in Biscuit Basin to soon be closed for repairs. .. The rotting and broken beams are approaching the life threatening stage. .. 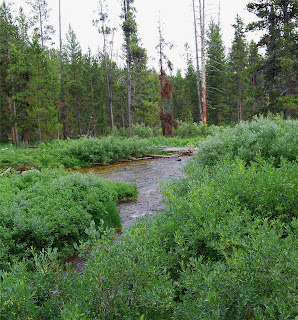 Even at the elevation of Biscuit Basin there is no snow and the grasses are turning green. The river level is just now near bank full stage and it's clear, as is usual for the pre-, or non-, runoff stage. .. 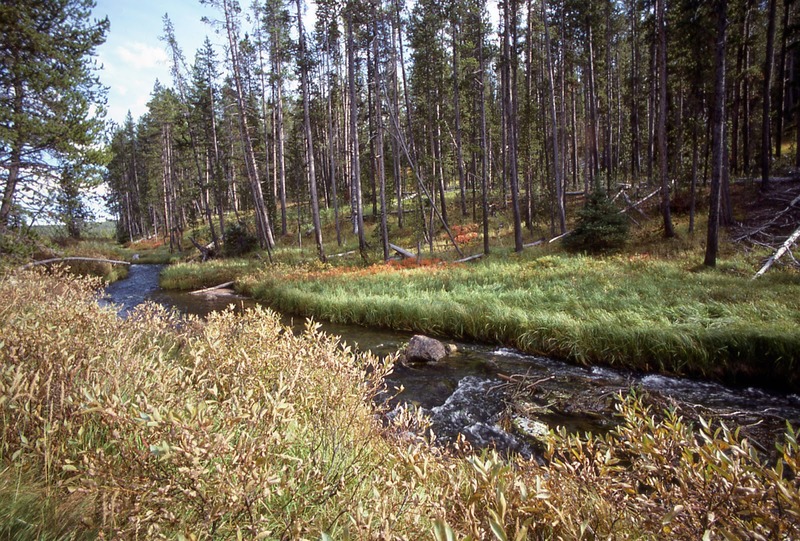 Under these conditions the Firehole River is a most inviting sight and we can see why the anglophiles of yore did salivate at the thought of planting non indigenous fish in the water; poor aquatic micro fauna. .. Even Nez Perce Creek is running on the warm side. The bear warnings are out and it seems that the quick warm up has done nothing to shoo the bears out of the valleys. .. Happily the Gibbon River is behaving in a nearly normal fashion. There is a tinge of color and the water is approaching the green grass on it's banks. .. 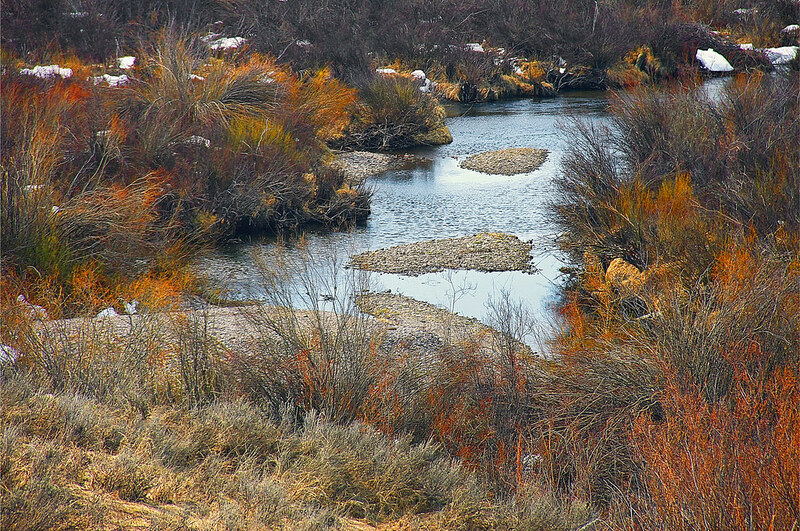 The color has not affected the color of the Madison River for a very great downstream distance. 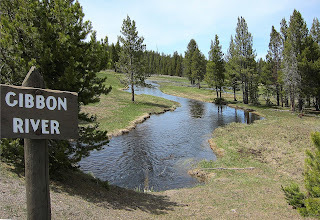 The discharge of the both the Firehole River and Gibbon River is so low that by Seven Mile Bridge the Madison River is nearly dead still. 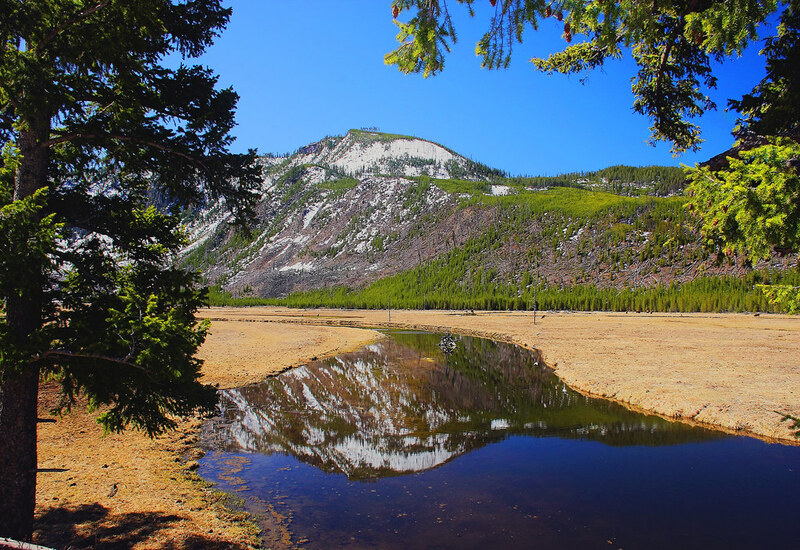 Reflections show so little distortion that many a lake would be jealous. .. We're gonna visit again tomorrow. The entrance line need some encouragement. 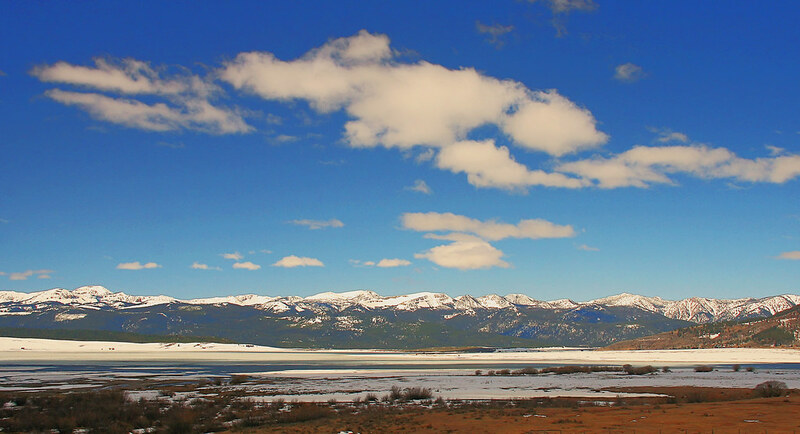 .. About 3/4 of the Madison Arm of Hebgen Reservoir is ice free. .. The winds and caprice of Mom have conspired to keep the north shore of the reservoir pretty clogged with ice. .. The best, (most easily accessible,) shore with open water is around Kirkwood. .. Catching is absolutely nuts right now. Even the most jaded of our neighbors have smiles to match their outspread arms as they discuss the fish. .. All of the tributaries are ice free and the snow is lingering in shadows and other north facing protected areas. .. 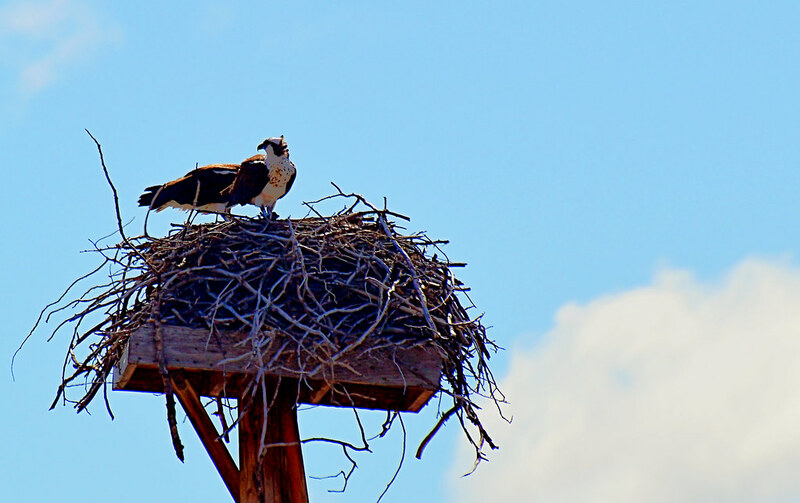 The distinct signs that Spring is here to stay are punctuated by the arrivals of the migrant osprey and eagles. .. Although we have a few resident eagles that hang around for the Winter the osprey are a most welcome sight. They seldom arrive before the fishing gets good. 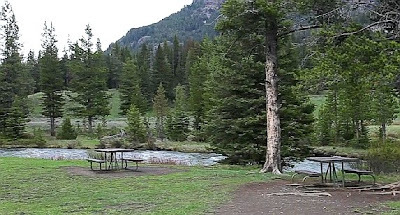 ..The west side of Yellowstone National Park is now fully accessible and the National Park Service is busy cleaning up the roads and the abundance of downed trees. .. We'll have a report after we see where they have moved the rivers to this year. .. The village is still on the quiet side and parking is abundant. It's even possible to visit with the neighbors at the grocery store without an interpreter. .. 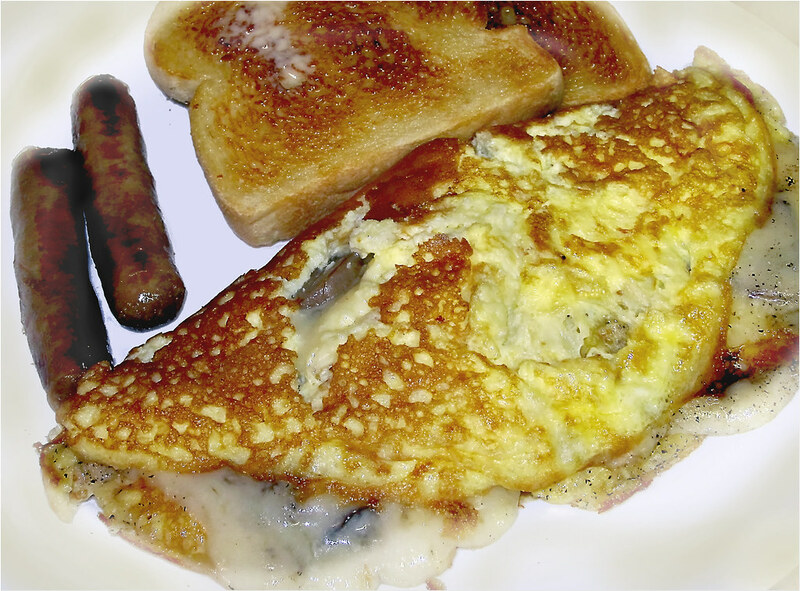 It's way early and we need some sausage.